My cousins Debbie and Ezra are modern day magicians. Years ago they were among the early members of Moshav Zofar, in the Aravah desert in Israel. A moshav is a cooperative community of farmers. By using irrigation they are able to grow the most beautiful red peppers in the middle of the desert. They made something out of absolutely nothing. 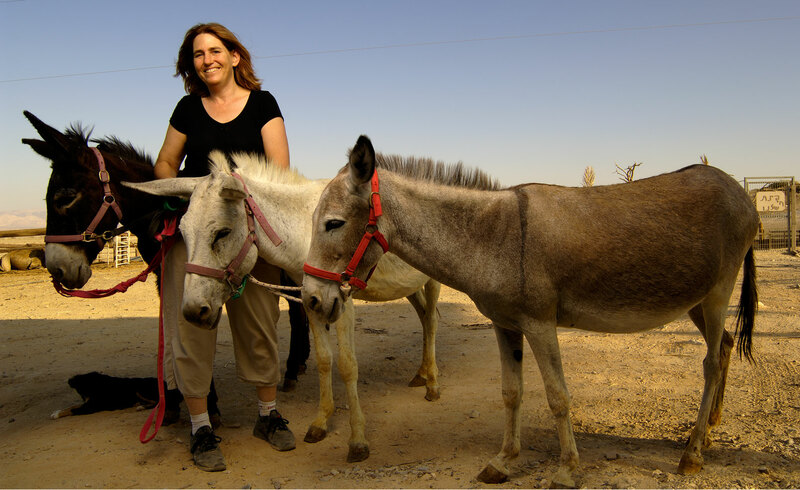 A few years back Debbie started a side business, giving tourists a Bedouin experience. The camels are just not nice, so we went with the always-cooperative donkeys.